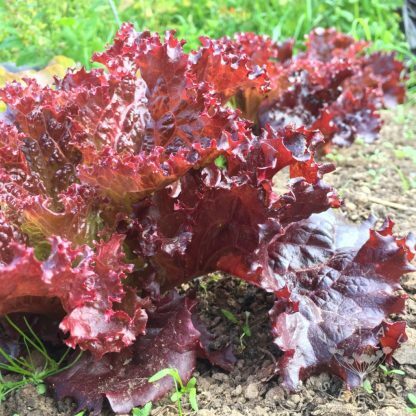 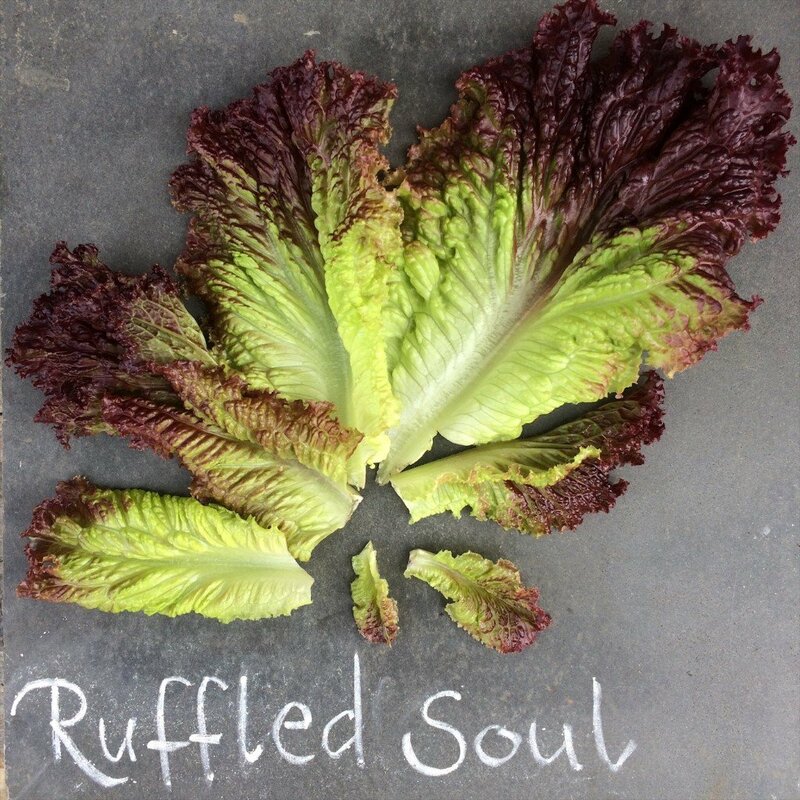 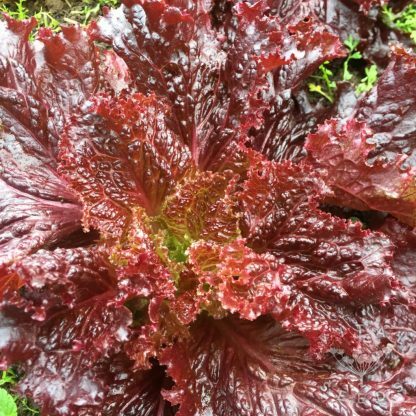 Deep red, ruffled leaves, very suitable for repeated harvests. 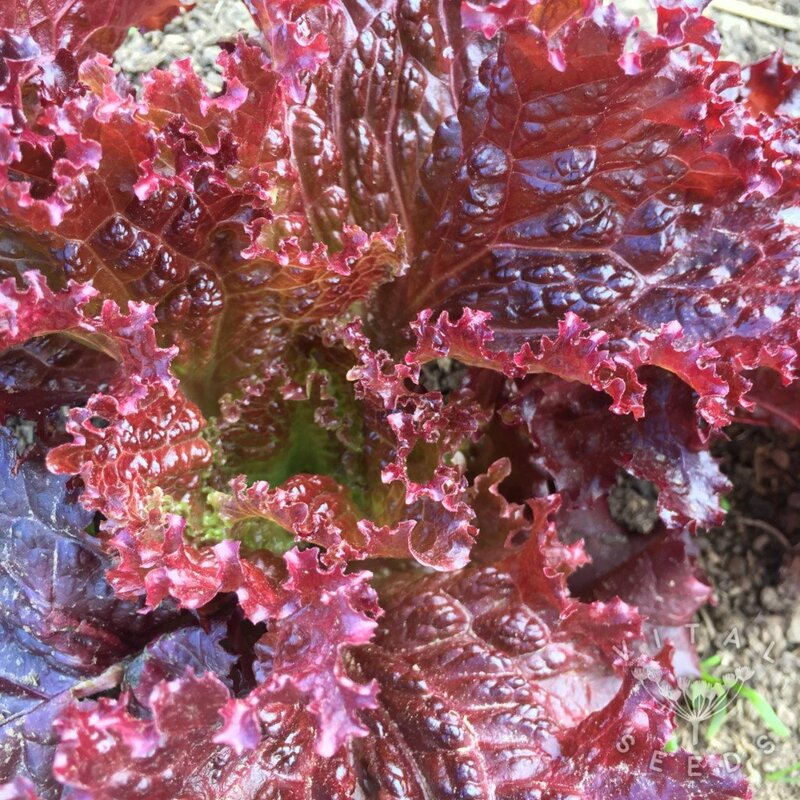 The most attractive lettuce I grew in 2018, it contrasts brilliantly with other leaves in a mixed salad. 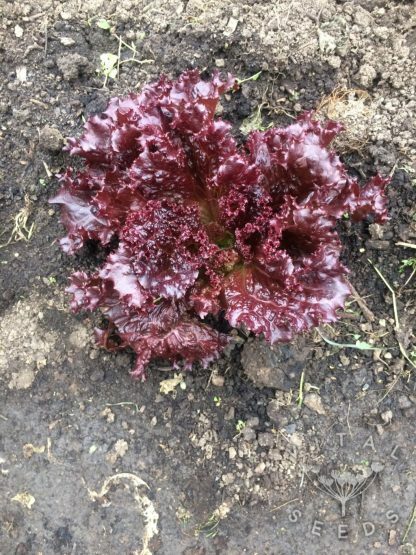 Bred by Frank Morton of Wild Garden Seed this lettuce is very suitable for repeated harvests since it is slow to bolt and the leaves do not get too big.